If reading about AI is making you feel like Alice in Wonderland, then take heart, there’s something new on the horizon — Blockchains. The technology has been around since 2008 but is now getting more mainstream in business applications, though it’s still early for the recruiting world … early enough that words like “revolution” have not become commonplace on the same page as mentions of blockchains, but there’s every sign that promises of digital nirvana are around the corner. Blockchains are the technology created to support Bitcoin — the cryptocurrency and digital payment system. It was designed to work without the the approval of governments and allowing for secret online transactions, eliminating the need for intermediaries like banks to process transactions. The goal of the bitcoin system is to replace trusted third parties (the banks) in financial transactions between individuals. It does this by creating a “distributed ledger” — a secure database replicated on thousands of computers (nodes) around the world maintained by “miners.“ Trust is maintained by having a mechanism for how the nodes update each other. This theoretically guarantees that no manipulation is possible so that a record can only be altered if all nodes are in agreement. Blockchain-based applications fall into three categories. 1) Transfer of assets; 2) “Smart contracts” that execute themselves when conditions are met; and 3) System of truth — essentially a registry of anything where authenticity is required. Applications to recruiting will fall into the second and third categories. Any recruiter or employer who hired a candidate with fraudulent credentials can appreciate the need for having a secure way to verify those. It isn’t impossible to verify a candidate’s credentials today, but the process is cumbersome and usually requires paying a fee. The problem is especially acute in countries like India and China where fraud is rampant and there are few reliable sources to ensure that a candidate’s credentials are real. Recruit Holdings (the parent of Indeed) is attempting to develop blockchain based certificates of authenticity for resumes. Chronobank is the first to develop a blockchain-based platform for employers to find workers — essentially a job board like Guru or Upwork — but using blockchains to set prices and manage the contracts. The company will issue “Labor-Hour” tokens that are linked to average hourly wages in the country where a worker is based, and use a smart contract to manage the relationship with the employer. The company also plans to keep records of performance using Blockchains, which would allow a freelancer to charge more if they have a higher rating. The goal is to provide a seamless solution for employers to hire and pay freelancers. The blockchain assures an employer of the reputation of the person they’re hiring, and the worker is paid as soon as terms of the contract are met. 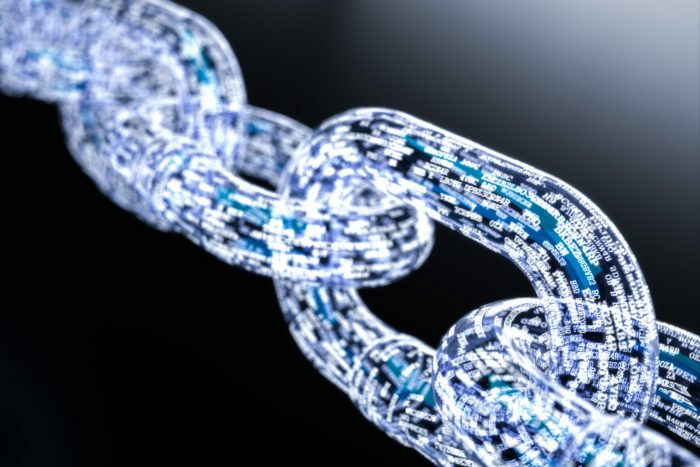 An article in Harvard Business Review describes blockchains as a foundational technology, not a transformational one … that is, the technology does not disrupt traditional business models with lower-cost solutions. It supports the creation of platforms that allow people and organizations to freely transact with each other without the need for intermediaries. This improves efficiency, but does nothing to fundamentally alter the transactions that are supported. Any platform built on blockchains to work also requires widespread adoption by individuals, organizations, and governments. There have been plenty of attempts to create a verified resume, but none has gained any traction or seen widespread adoption. The challenge is that beyond educational credentials and dates of employment there’s not much else that can be verified. Employers are not going to start sharing performance records with each other. Skills and competencies get obsolete fast, so having a record encoded in a blockchain has limited value. The technology does have the potential to lower the costs of recruitment both directly and indirectly. It can reduce the costs associated with verifying credentials and speed up evaluation by having more of the necessary information in a digital record. Whether it results in better hires remains to be seen. But rest assured the subject is good for conference presentations for five, maybe 10 years. AI is getting passe.